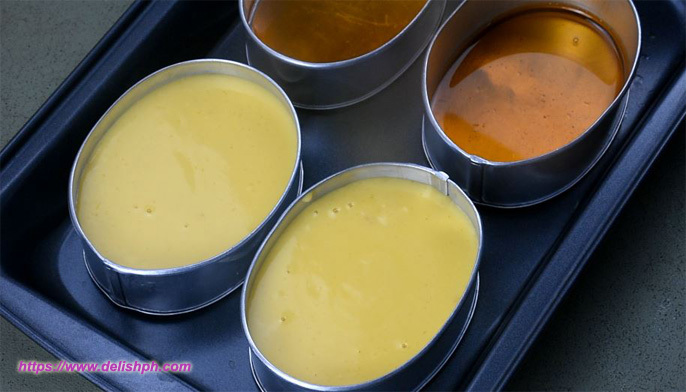 In a bowl, mix in egg yolks and condensed milk. Whisk until mixture is smooth. Slowly pour in the evaporate milk, while constantly mixing. Add about 1/4 cup of sugar and vanilla extract. Whisk until properly encorporated. Strain the mixture to remove lumps and achieve smooth mixture. Set aside. Heat the pan and caramelize the remaining sugar (3/4 cup). Pour in the caramelized sugar into the molders and set aside. Pour in the right amount of water in a pot (check the gelatin label for proper measurement of water). Pour in the jelly powder and whisk until completely dissolved. Turn on the heat and let it simmer while constantly stirring. Slowly pour in the leche flan mixture into the pot, still constantly stirring. Let it boil for two minutes. Turn off the heat. Pour in the mixture in the molders with caramelized sugar. Let it cool until it sets. You can also refrigerate it for about 30 minutes before serving. Here’s another combo that you can try. 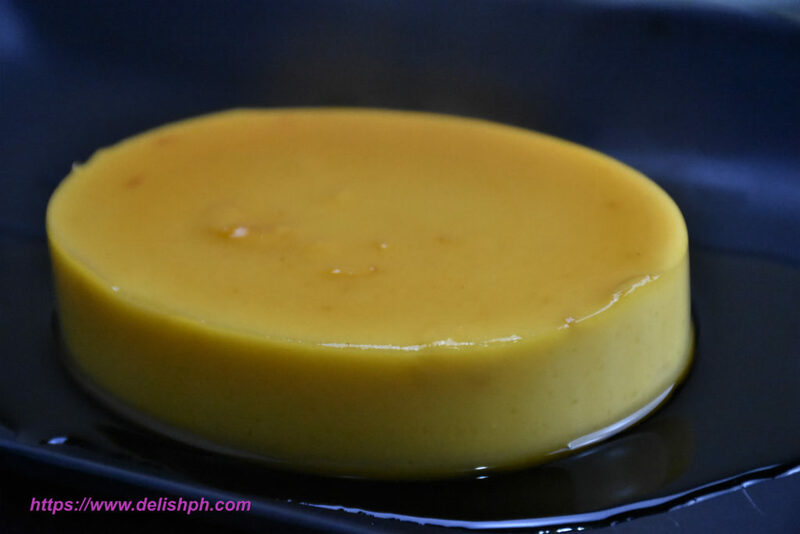 Jelly flan will bring your gelatin and leche flan to the next level. Some may include the egg whites to the process. But I just used egg yolks to get that smooth and bright yellow color. If you have any question or suggestion about this recipe, drop a comment below or send me an email or direct message us on our Facebook Page.